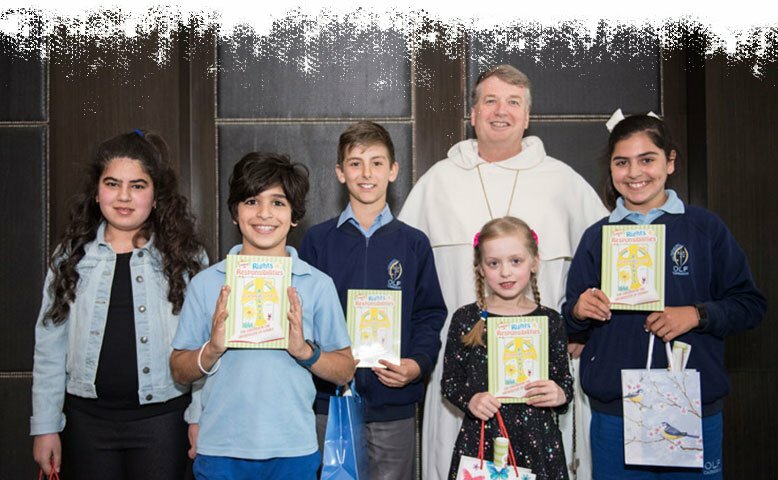 The Safeguarding and Ministerial Integrity Office was established in the Archdiocese of Sydney in November 2015 to raise awareness regarding our responsibility to protect children. Fact sheet: When is a child at risk of significant harm? Guidance document: When is a child at risk of significant harm? When does my Parish need consent to film or photograph children at the Parish/Parish events? Fact sheet: What is a reportable crime? Guidance document: What constitutes a reportable crime? 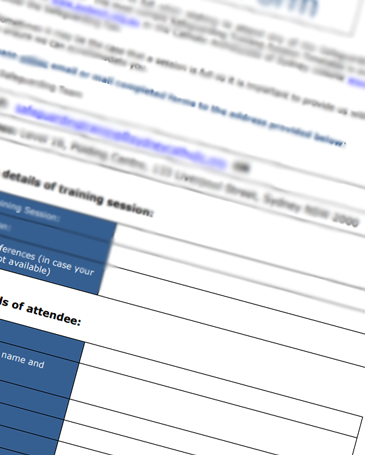 Fact sheet: What conduct must be reported to the NSW Ombudsman? Guidance document: What conduct must be reported to the Ombudsman? Fact sheet: What is child-related work? Guidance document: Who must obtain a Working with Children Check? Fact Sheet for Parishes: Who needs a Working With Children Check? The Safeguarding and Ministerial Integrity Office was established in the Archdiocese of Sydney in November 2015. The role of the Safeguarding Office is to raise awareness regarding our collective responsibility to protect the safety, well-being and dignity of children, young people and vulnerable adults within the Archdiocese of Sydney and to respond swiftly and compassionately in circumstances in which children are harmed or at risk of being harmed. The focus of the Safeguarding Office is the prevention of abuse and harm to children, young people and the vulnerable within our Archdiocese. 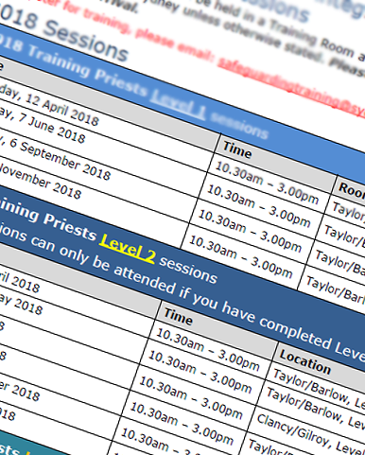 To this end, the Safeguarding Office has been developing and delivering training programmes on a range of Safeguarding protocols and procedures that work together to protect children from harm. 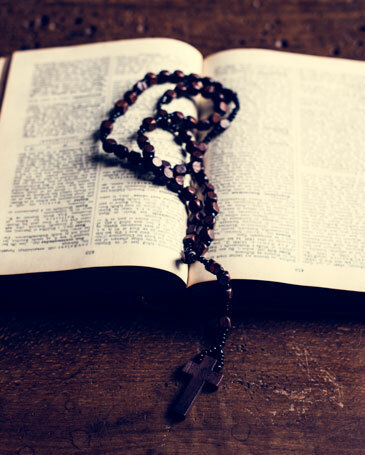 These protocols and procedures embody the inherent values of the Catholic Church. The emotional, physical and spiritual safety, well-being and dignity of children is an integral part of the teachings and values of the Catholic Church. The Archdiocese is wholly committed to ensuring the safety, well-being and dignity of all children, and acknowledges its important legal, moral and spiritual responsibility to create a safe and nurturing environment for those children. The Archdiocese supports these expectations and strives to promote the safety and protection of children and other vulnerable persons in its care. Who needs a needs a Working With Children Check?